Mount Kilimanjaro - the roof of Africa! 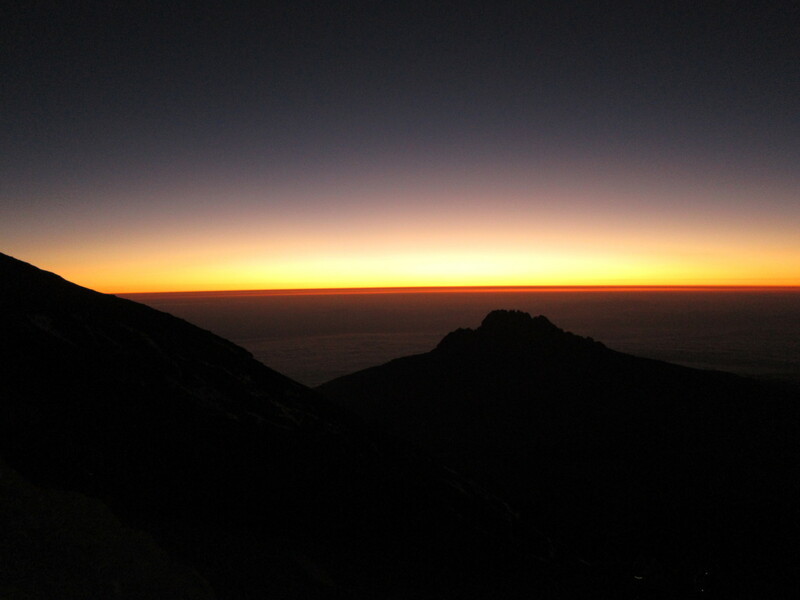 Climbing Mount Kilimanjaro is a magical experience at any time of the year, but many Kili adventurers choose New Years Eve as their summit date to mark the start of a new year in style! Christmas and New Year Kilimanjaro climbs are very popular indeed, and so if you are looking for a peaceful trek to Uhuru Peak, it might not be the best time of year for you, but if you like the idea of conquering Africa’s highest mountain with likeminded travellers, and a group of all-singing, all-dancing mountain crew – this could be exactly what you are looking for! The Marangu Route (Coca-Cola Route) usually sells out months before the New Year’s Eve Summit, but as all the other routes on Mount Kilimanjaro involve camping, you can scheduled your private climb to start on any day of the week, and attempt the summit on 31st December, arriving at Stella Point just in time to see the sun rise over Africa on 1st January. I personally cannot think of a better way to start a New Year, than standing ‘on top of the world’ at 5895metres above sea level looking over the beautiful landscapes of Tanzania… that really would be a HAPPY NEW YEAR!